I have just stumbled across your material and I am simply blown away by the implications! Unbelievably exciting. At the same time, I notice a deep level of fear at the thought of wandering out of ordinary reality. What if you get stuck? What if you need to get back to reality as we know it, but you can’t? I discovered you, Gerald O’Donnell, through the Full Disclosure Project Mass Meditation with Corey Goode whom I have followed since his first appearance on Cosmic Disclosure. 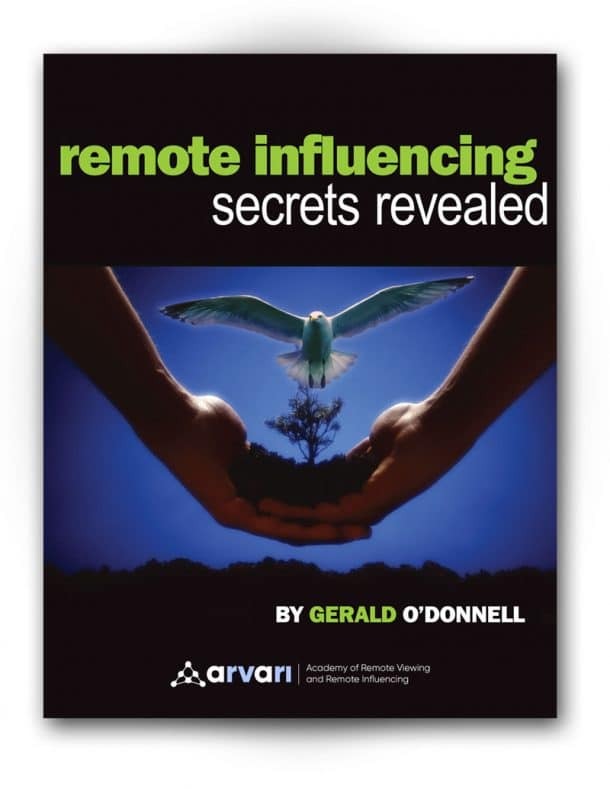 I was interested in knowing more about your Remote Viewing and Influencing Training System, so I reviewed the Arvari website and listened to some radio talk show programs featuring you on YouTube. Your inspired videos on YouTube were appealing to me also, as I have been connected to the teachings of Oneness through Rasha. I feel very drawn to your Arvari program. I am currently reading your free copy of Remote Influencing Secrets Revealed. Thank you for this. It is my desire to learn, and somehow, I will have to earn the money to purchase the program someday.